KX3UI | Mac App Storeのアプリ検索・ランキング BuzzMac! 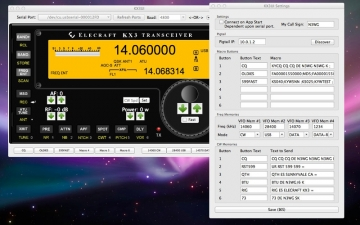 KX3UI provides a graphical interface for controlling the Elecraft KX3 from your Mac. 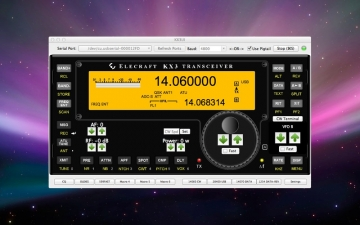 You can connect with a wired serial port or using the Pigtail wireless serial adapter. 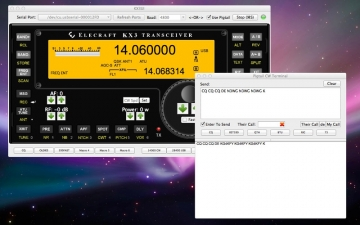 The app has a CW/DATA terminal built-in that uses the radio's built-in CW/DATA decode functionality. There are user-defined Macro, CW and VFO memories built-in as well.